GT Advanced is not anywhere near being a truly settled matter, but for Apple, it looks like the final chapter is written. A couple months ago, GT Advanced had submitted an agreement it had made with Apple where the former would repay the latter several hundred million dollars in loans and back-rent at its Mesa, Arizona facility. A number of investors were not happy with the arrangement so GT Advanced was able to revise the settlement, essentially valuating Apple’s role $50 million more than before, meaning Apple is spending a little more money to close the book. The bankruptcy judge is likely to approve the deal, and the investors have withdrawn their objections. 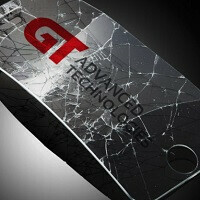 GT Advanced was to be Apple’s sole supplier of sapphire screens for the iPhone using what was expected to be a new method of producing the mineral. GT Advanced built 2,000 sapphire furnaces to make the boules of material that would have been necessary to meet demand. Unfortunately, the fabrication process did not yield the results needed for full scale production. Apple abandoned the effort and went with the established “strengthened glass” route, leaving the former solar panel production shop holding a half-billion dollar note on loans to Apple, and ostensibly sending GT Advanced on the road to bankruptcy. GT Advanced held nothing back in its bankruptcy filing, leveling blame squarely at Apple. Unsealed supplier agreements basically showed GT Advanced was a “captive supplier,” with terms dictated by Apple. To be fair, Apple was paying for all the equipment and offering favorable lease arrangements for the manufacturing facility, so both parties made their bed. The 2,000 sapphire furnaces will be sold for about $500,000 apiece, netting roughly $1 billion. Of that money, Apple will take a substantial cut. In addition, GT Advanced will get some back-rent forgiven. The manufacturing facility is owned by Apple. GT Advanced remains under an SEC inquiry due to executive stock trading activity while the company was circling the drain. Based on the revised settlement, it looks like Apple has washed its hands of the short-lived alliance and it can close the door on a less than successful execution of a good idea. This is great news If there are small chinese companies willing to produce gadgets with sapphire materials in small volumes. But then again, corning glass 4 will still be the top choice on upcoming phone models. Isn't this the company that sent apple broken saphire glass? No, GT Advanced was producing sapphire but Apple used other materials because as Apple claim, GT can't give enough supply for the demand. "Apple, in search of greater profits, went with some super cheap glass that can barely withstand tissue paper." FTFY.